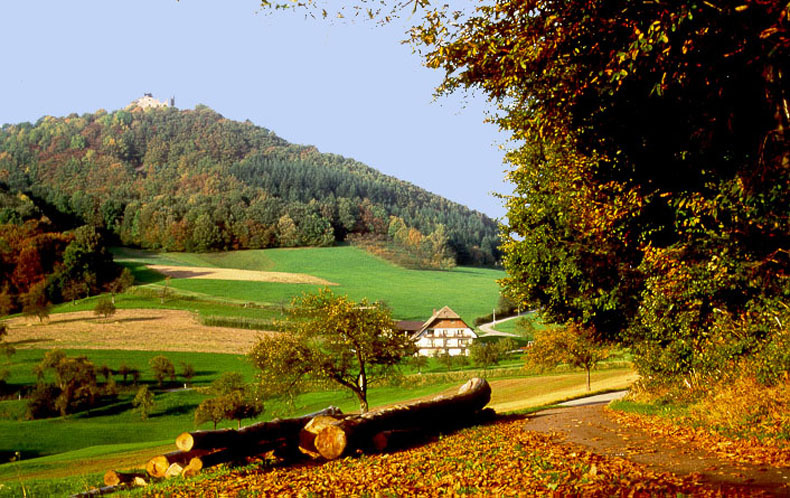 Climatic Health Resort Seelbach Our holiday apartments are located in the town of Seelbach which lies about 6 km east of Lahr/Schwarzwald, between Strasbourg and Freiburg/Breisgau. Seelbach has a population of appr. 5000 people. 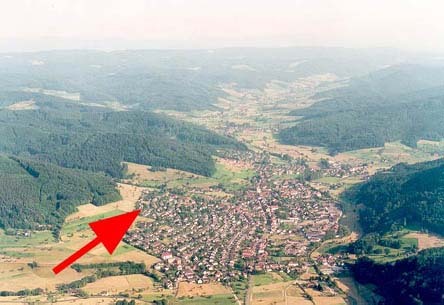 It is located about 200 - 600 m above sea level and is nestled in meadows and woods. The Heart Clinic is in close proximity of Seelbach. 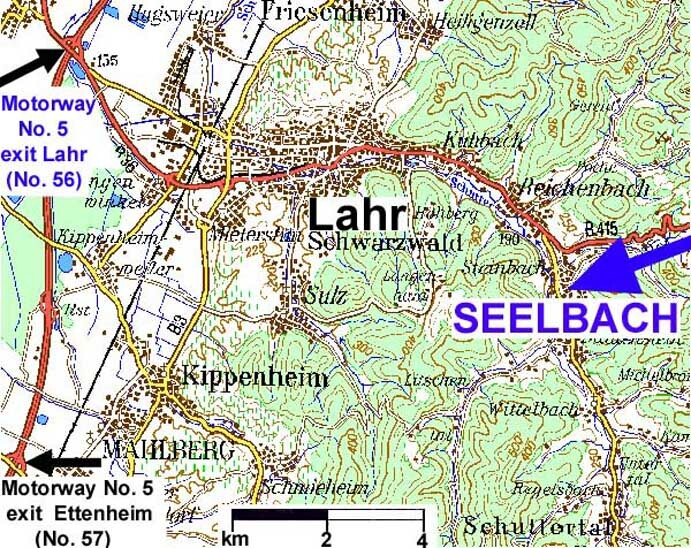 Click for "Directions Seelbach". Come and enjoy in the heart of Europe, away from stress, the fine hospitality of the province of Baden. 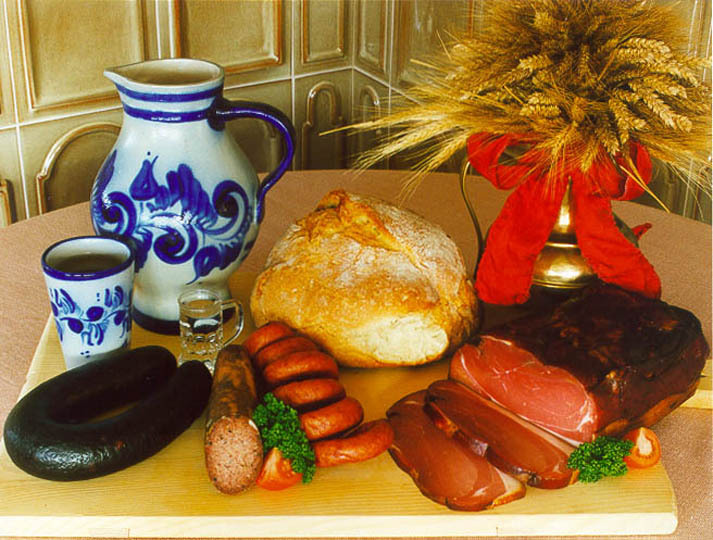 Enjoy the food specialities of the "Middle Black Forest", such as wine and beer, smoked Black Forest ham and Schwarzwälder Kirschtorte (Black Forest Cake). Seelbach - Market Street You will find on our hiking map, in the proximity of only 10 - 15 km, in an area of about 400 km², over 250 km of cycling paths and 450 km of well marked hiking trails. 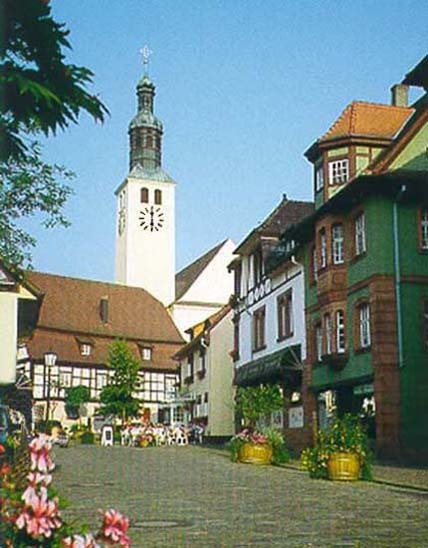 You will discover that the Middle Black Forest area is a paradise for hikers. It is a place for all seasons where you can explore beautiful flora and fauna. BLACK FOREST - The place to be !